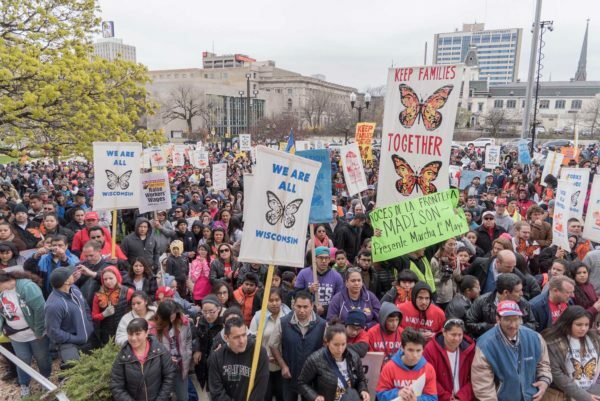 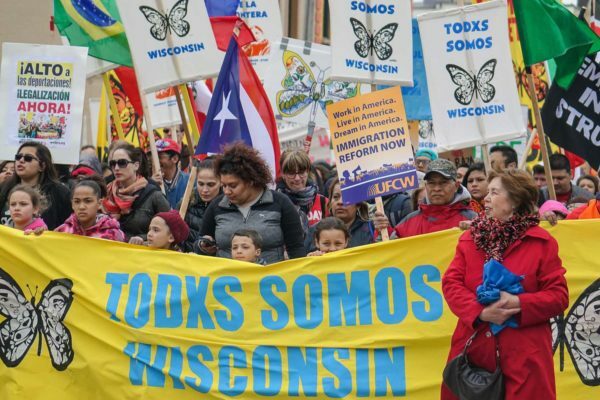 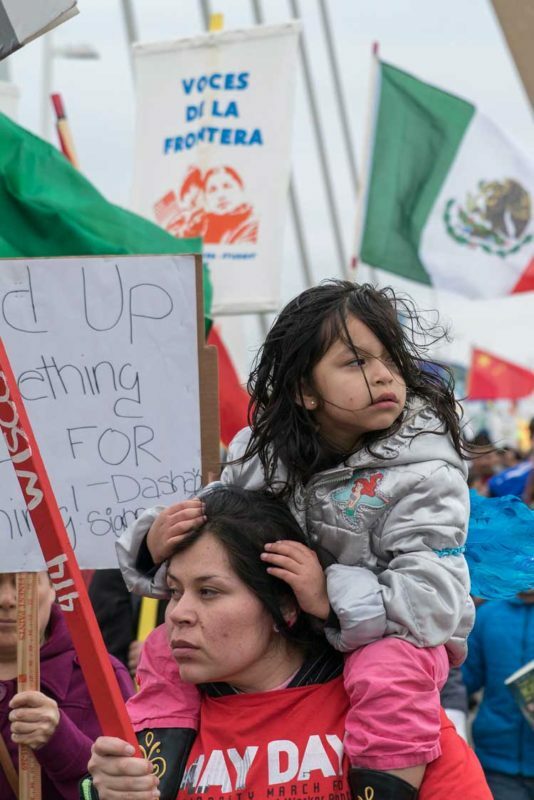 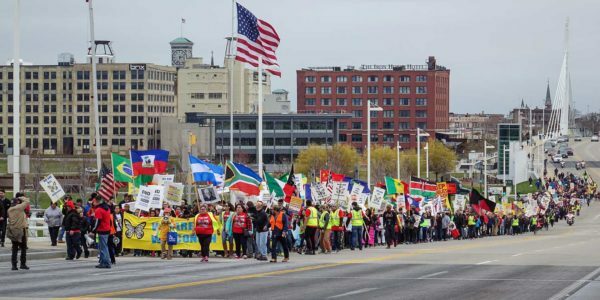 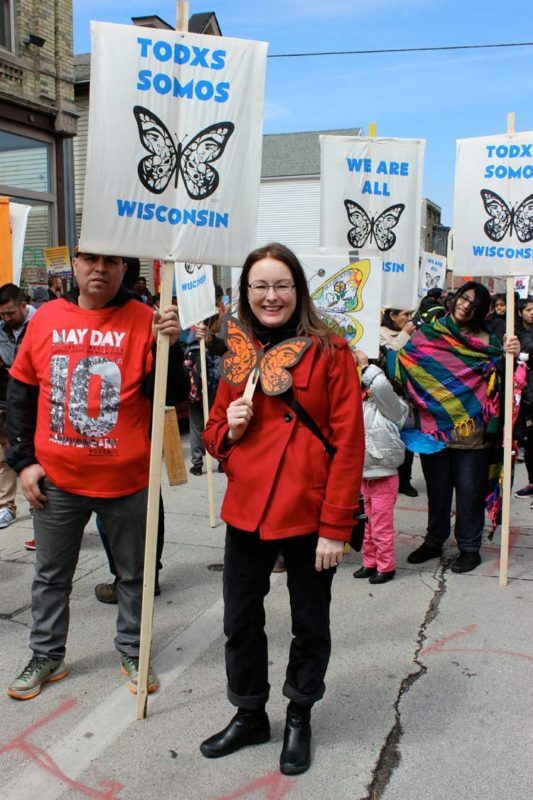 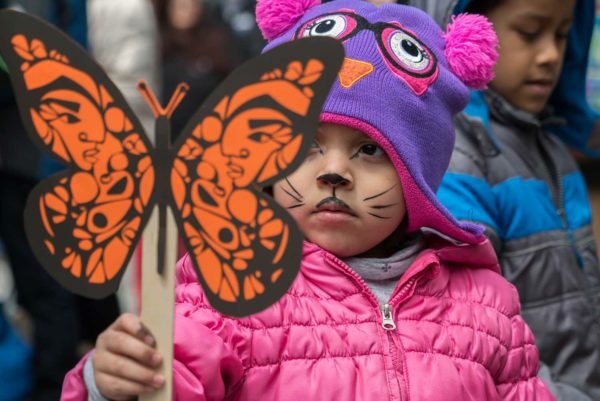 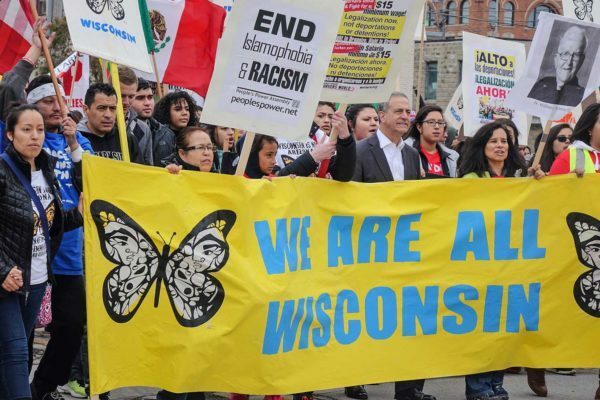 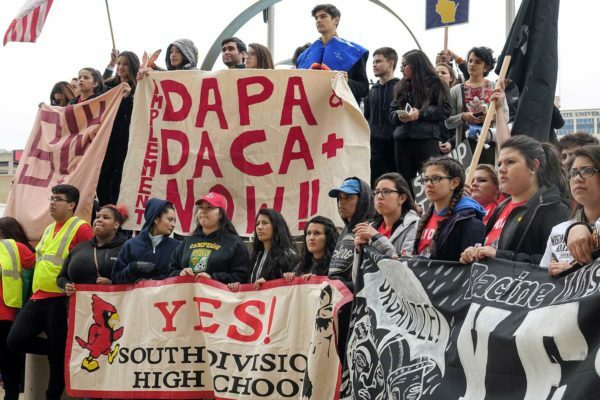 This past May Day in Milwaukee thousands marched through downtown calling for justice for immigrant, worker, and student rights. 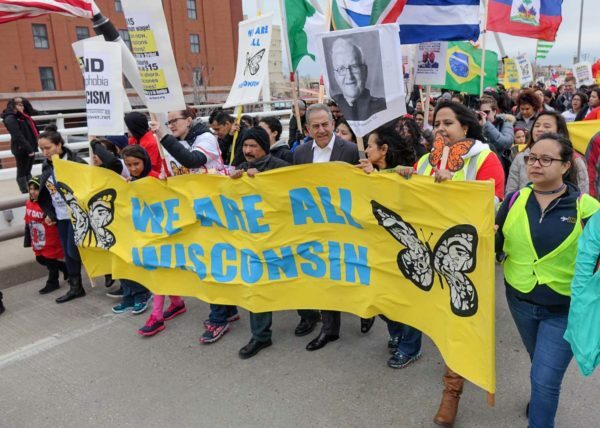 It was a day of celebration and protest – one that rejected racism, xenophobia, and bigotry. 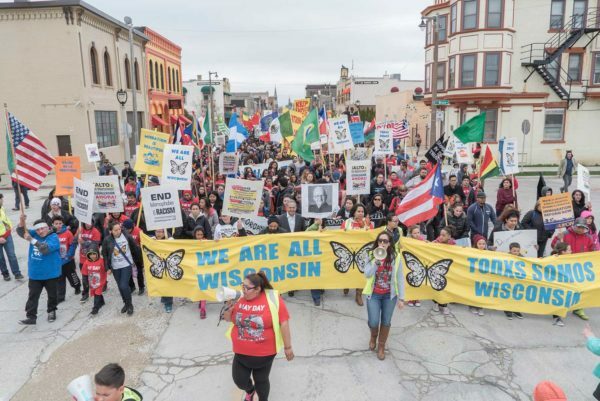 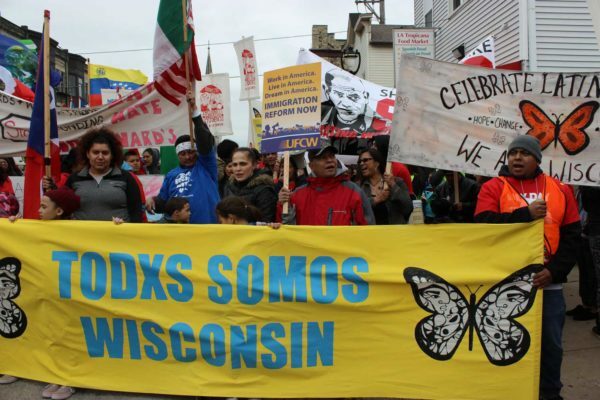 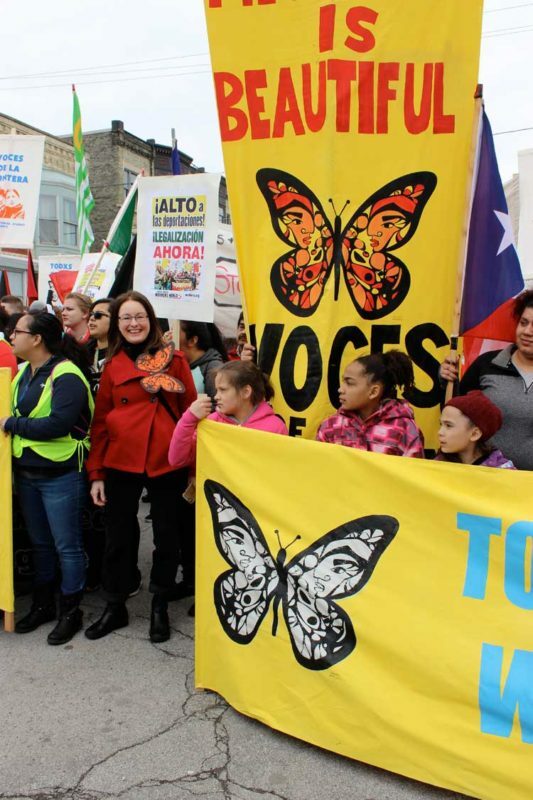 This May 1st was the 10th Year Anniversary that Voces de la Frontera organized the May Day march in Milwaukee. 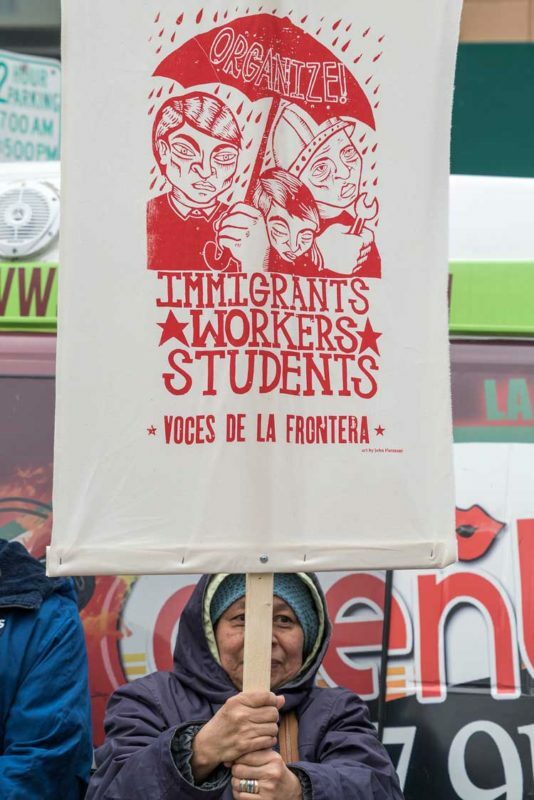 Banners and flags by Justseeds art were ever present. 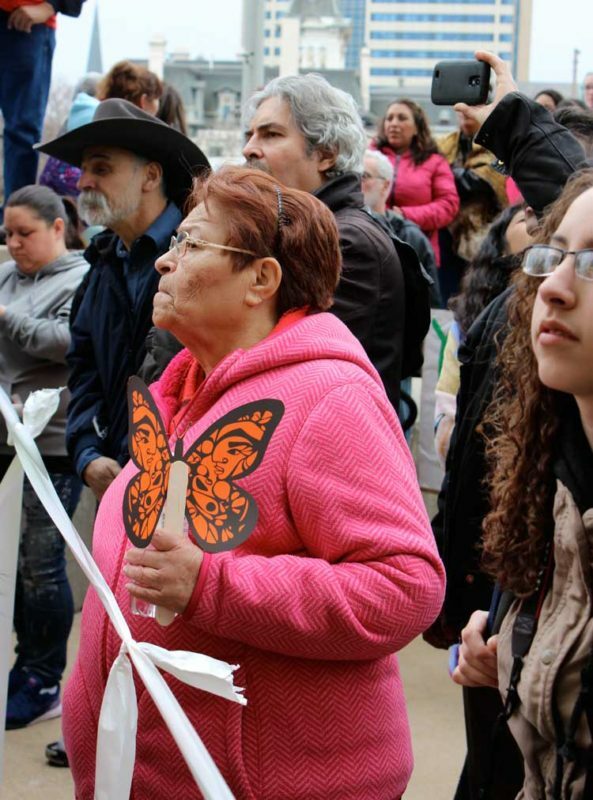 Favianna Rodriguez’s iconic butterfly was everywhere. 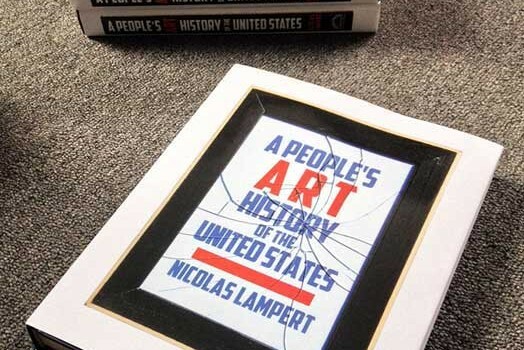 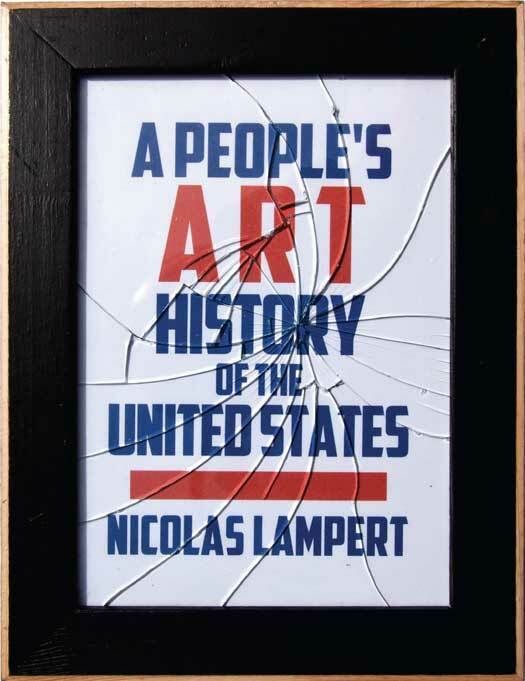 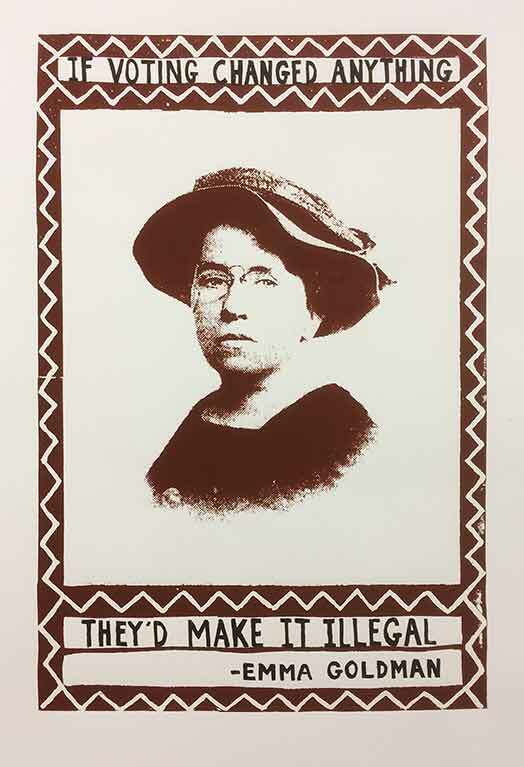 As were many other images that came out of the six-day art build that David Solnit, Susan Simensky Bietila, and myself had led – along with some heavy lifting by Sam Singleton-Freeman of Voces and Pete Railand and Paul Kjelland of Justseeds, among many others. 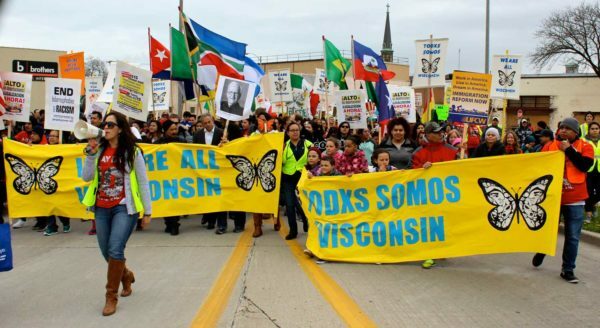 The fruits of our labor from the art build was expressed in the multitude of new signs and banners that were held in the march and the many new partnerships and collaborations that are forming. 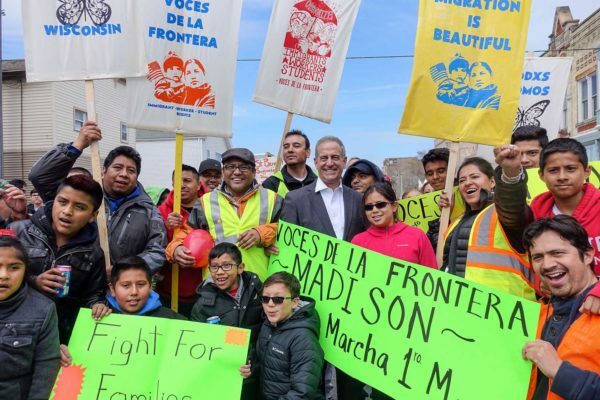 Present at the march was Russ Feingold who marched with Voces and spoke to the crowd outside the courthouse. 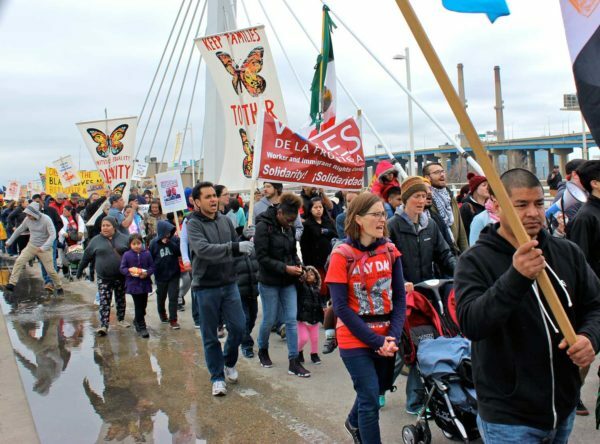 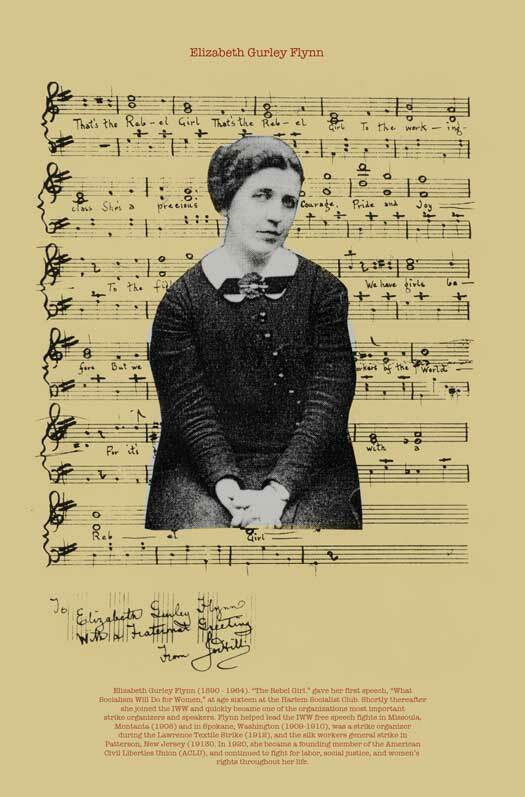 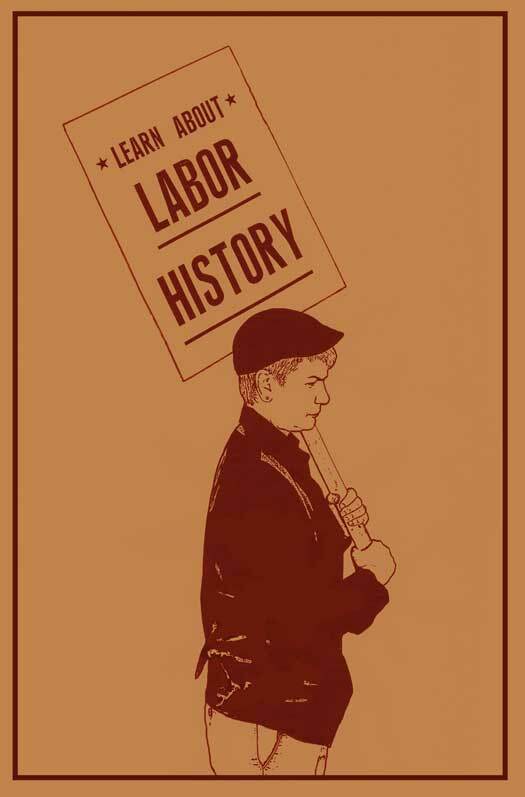 Below is a photo essay of the march featuring photos by Joe Brusky, Susan Simensky Bietila, and Susan Ruggles. 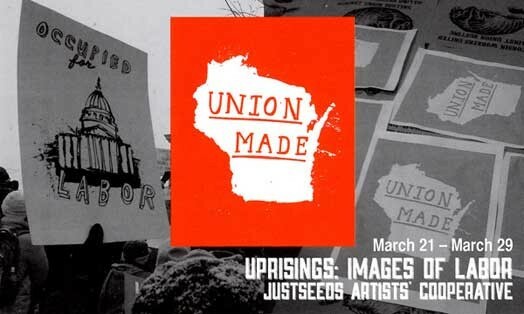 Also check out the photo essay by Lee Matz.